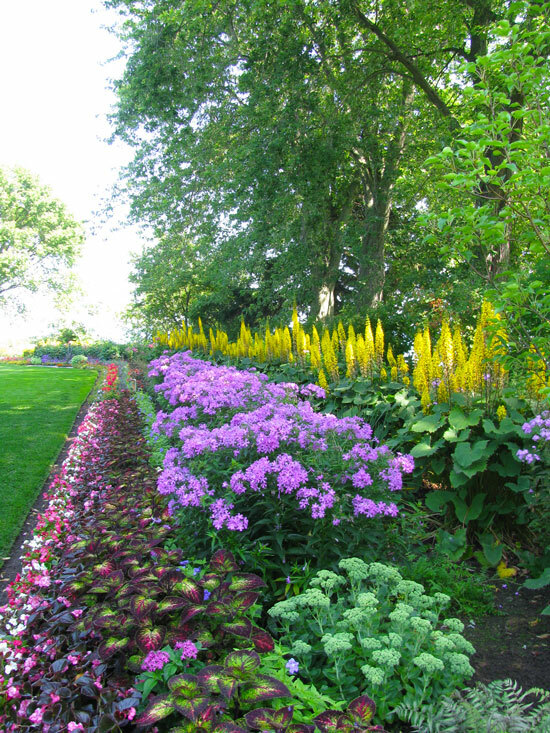 Located in Manitowoc, West of the Lake Gardens is a beautiful, peaceful botanical garden with beautiful views of Lake Michigan. The six acres of gardens sit on the former estate of John and Ruth West, and feature a rose garden, red & white garden, formal garden, sunken garden, and more. West of the Lake Gardens is open every day 10am-5pm from Mother's Day through mid-October, weather depending. There is no charge to view the gardens. John and Ruth West started the The Ruth St. John and John Dunham West Foundation, Inc. in 1957. It was incorporated as a Wisconsin non-stock, non-profit corporation. From the time the corporation was founded until John and Ruth passed, the Foundation was used as a vehicle to support their personal charities and worthy causes, primarily in the Manitowoc area. Following the deaths of John and Ruth West, the major portion of their estate was used to continue the Foundation. Today, the Foundation is committed to assist through the financial promotion of humanitarian, educational, cultural, charitable, and civic or public purposes. Click here for more history of West of the Lake Gardens. Sunken Garden--Plantings of annuals frame a sunken pool accented with water plants and an inviting sitting area. Rose Garden--Hybrid Tea, Floribunda and Granidflora roses generate the fragrance of this garden. Formal Garden--An intricate knot of crushed stone and flowering annuals surround pots of succulents and Italian sculpture. Mae West Garden--Named for its curvaceous form and bold colors. Path Garden--Mrs. West's first attempt at gardening. This originated as a wheelbarrow path to the lake. Red & White Garden--This garden is filled with a mix of annuals and perennials in a color scheme true to its word. 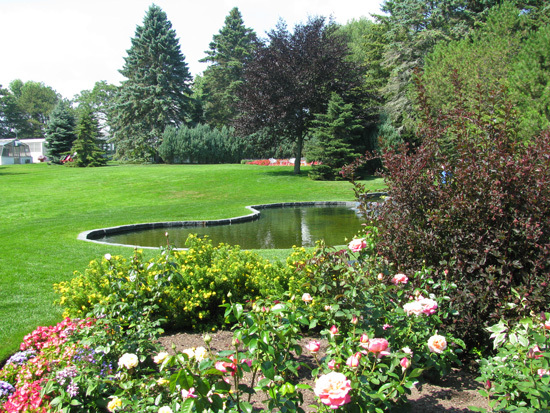 The Pond Garden--A new addition to the West of the Lake Gardens. This 20,000 gallon reflecting pond was built in 2008. The Loop--Spring plantings of daffodils, hyacinths and tulips in Spring. Hosta, daylilies and a formal border is planted for the summer season. The Woods--Four varieties of Lamium maculatum complement groupings of Hosta, Japanese Painted Fern and Astilbe.